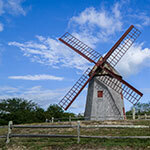 This historic region offers a wealth of memorable events and activities framed by breathtaking natural beauty. The Berkshires feature year-round culture, recreation, and adventure in quaint towns like Stockbridge, Lenox, and Williamstown, while North Adams has the fabulous Museum of Contemporary Art. There is no shortage of places to stay , shop, and dine. Great ziplines and canopy tours are here; for all-day fun, visit Look Park with a zoo, lake, water spray park, 18 holes of miniature golf and six tennis courts. In winter, family-friendly skiing and other snow sports are just a short walk uphill. Featured by USA Today as one of the Top Ten Zip Lines of the United States! 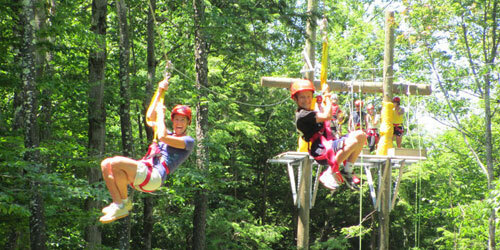 Berkshire East is New England's largest zip destination with three tours to choose from. The Base Tour is our introductory course… give zipping a try! Then move on to fabulous views of the valley on the Mountain Top Tour. 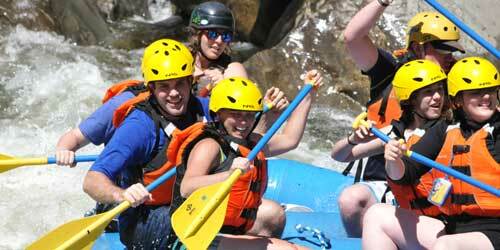 Mountain Top zipping is a great family experience and summer memory. Ready for tour number three? The Valley Jump is fun to the extreme. You will love it. Two 1/2 long mile zips, approaching 200' off the ground. This tour has been featured in the Washington Post. Come, fly above the tree tops! 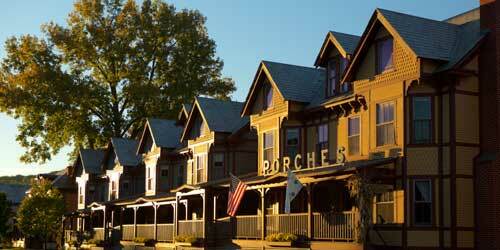 There is everything to like about a visit to Stockbridge, MA. 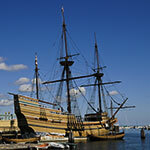 There’s two plus centuries of America’s history. 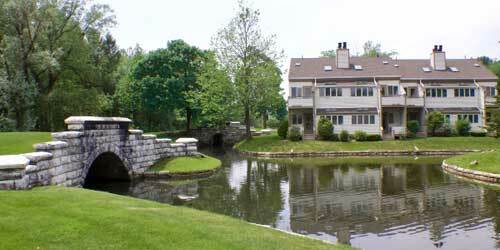 Here’s the adopted home of Norman Rockwell not far from his celebrated museum. The studios and creations of famed artists, musicians, and authors are within easy reach. The outdoors offers hiking, biking, skiing, water sports and more. In short, there is something for everyone. The Red Lion Inn has it too. Rooms with complimentary WIFI, air conditioning, cable television, and cozy plush bathrobes. There’s great food rooted in the region’s traditions. Enjoy the fitness room, the partners spa, a heated outdoor pool and hot tub, a porch with rocking chairs, a gift shop, nightly entertainment at the Lion’s Den, and a very curious lobby cat. 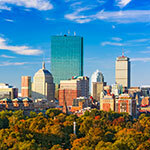 Visit the world renowned Massachusetts Museum of Contemporary Art and stay across the street at this lodging in restored Victorian row houses. You’ll enjoy the relaxed, cozy atmosphere and quirky and colorful spirit within. Architectural framings and angles vary. Individual decors give a distinct personality to every space. No two rooms are alike and the comforts are everywhere from lofts and/or spiral staircases, separate living rooms, working fireplaces, to private slate floored baths with Jacuzzi, claw foot tubs, and separate shower stalls. There’s complimentary continental breakfast, a heated outdoor pool, fitness center and lobby bar. 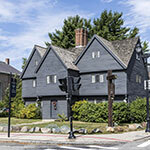 The museum highlights the northern Berkshire’s arts and crafts scene while quaint, walkable North Adams offers great shopping, restaurants, galleries and more. If you have ever wanted to try zip lining, or whitewater rafting or stand-up paddle-boarding, the place to launch your adventure is Zoar Outdoor in the Berkshires. It’s also the place for experienced folks, with whitewater rapids up to level IV and a three-hour zip lining canopy tour that reaches heights of 50 feet. Zoar also offers stand-up paddle-boarding, kayaking, canoeing, rock climbing, easy river floats and, at its center in Wilmington, Vt., snowshoeing, cross-country skiing and mountain biking. Experienced instructors and guides are ready to assist or teach people at every skill level, and the equipment they use is first-rate. Kayaks and paddleboards, for example, are stable enough for first-time users. Lodging options include Hawk Mountain Lodge, 11 cabin tents, five tent sites – and a yurt. Less than three hours from New York City and Boston, the Berkshires offer culture and adventure year round. The allure of the Berkshires in summer is a savory blend of sweet mountain air, migratory birdsong; rare wildflowers found in forests and open fields, and the return of locally grown foods to our tables. Nature, like us, sheds its early spring coat and greets the season with a warm welcome. 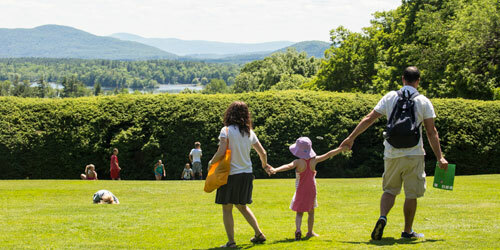 Journey here as a couple or pack up the entire family, get out & about in the Berkshires. Whether you choose to spend your time indoors or out, the Berkshire region comes alive in summer. Come discover all the possibilities the Berkshires has in store during the most-welcomed seasons of all. To learn more visit us at berkshires.org or find us on Facebook at Visit the Berkshires of Western Massachusetts. The Berkshire Hills has it all. And you can have it too at this magnificent and secluded resort set on a picturesque 223 acre estate. Your home away from home can be a one or two bedroom condominium with master bathroom and Jacuzzi, a fully equipped kitchen, fireplace, living and dining areas, sleeper sofa, television, stereo, DVD player and a deck overlooking the pond. Right outside your door are gas barbecue grills, tennis, shuffleboard, bocce courts, a playground, indoor and outdoor pools, exercise room with hot tub and sauna, rowboats and canoes, trails for walking and cross country skiing. Within a short drive, enjoy Berkshire’s history, art, music, old inns and taverns, great food and shopping. Breathtaking mountain scenery included. Blantyre , a Relais & Châteaux property nestled near Lenox in the scenic Berkshires, is now hosting a year-round Champagne salon inspired by Dom Pérignon. The salon will offer select Dom Pérignon varietals in indoor and outdoor spaces. Guests can enjoy inventive drinks and fresh fare throughout the year in the Cloister, a secluded garden patio that features a clever tin-to-table menu with an upscale twist on caviar. Inside, guests can seek refuge at La Cave, a sleek underground hideaway next to Blantyre’s acclaimed wine cellar, adorned with original brick and marble stone walls. Elegant! The new Champagne Salon is open Fridays to Sundays, 3 to 11 p.m. 844-881-0104. 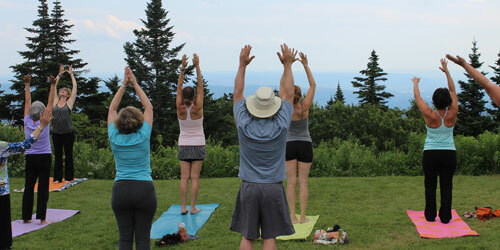 It might seem like all your trendy friends are heading off to yoga class these days, but the folks at Kripalu Center for Yoga & Health in Stockbridge have been doing it and relatged health treatments for more than 30 years. Tucked away in the beautiful Berkshires of western Massachusetts, Kripalu offers a multitude of classes, workshops, and weekend retreats. Different yogic programs focus on writing, creativity, relationships, body detoxification, cooking, dancing, and even snow-shoeing. So whether you’re a long-time yoga practitioner or a dedicated couch-potato, it’s a safe bet that a stop at Kripalu will make you feel peaceful and rejuvenated. Phone: 866-200-5203. Call him a robber baron, but at least J. P. Morgan took care of his kid sister; the mansion built for her in 1893 is a testament to that. 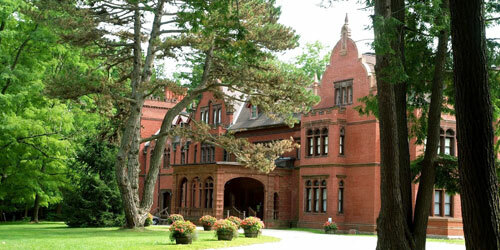 Ventfort Hall in Lenox is an imposing Jacobean Revival-style mansion with a history dating back to the grandeur and opulence of the Gilded Age. Despite its brush with demolition in the 1980s, today the mansion is listed on the National Register of Historic Places, and declared an official project of “Save America’s Treasures.” Visitors can tour the grand estate, peruse the art gallery, or simply enjoy the architecture. Open daily year round. Phone: 413-637-3206. Visit the most-photographed waterfall in Massachusetts at Bash Bish Falls. Located next to the Mount Washington State Forest, Bash Bish Falls tumbles through gorges and a hemlock ravine forest, and then drops about 60 feet into a sparkling pool. The park is open from sunrise to one-half hour after sunset and access is free. The falls is located next to the 4,169-acre Mount Washington State Forest, adjoining New York's 5,000 acre Taconic State Park. The Bridge of Flowers was once a decrepit railroad bridge, before it fell into the hands to local gardeners. They draped the bridge in living gardens of flowers, shrubs, and trees that delight people from spring to fall. It’s a walk through a gorgeous garden above a rushing river with a lovely town on the side. The bridge is in Shelburne Falls, off Route 2 (the Mohawk Trail). 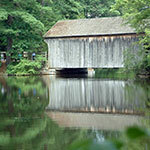 It spans the Deerfield River and connects the towns of Shelburne and Buckland. In a place with such natural beauty as Massachusetts’s Pioneer Valley region, it is reasonable that painters have worked there to re-create the countryside on canvas. A painter from the 19th century named James Well Champney worked in Deerfield and much of his work now graces the walls of the Deerfield Inn and its bright, airy Champney’s Restaurant & Tavern. 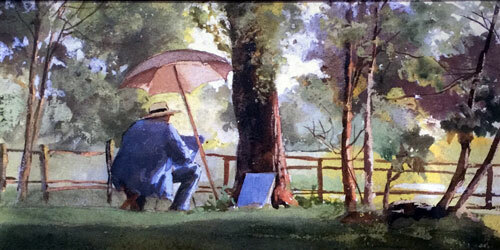 Deerfield Inn is among the several New England lodgings lucky to show original art, often by local artists. A visit to his historic town and inn, or a meal of fresh-cooked New England dishes at Champney’s puts you in the middle of a 19th-century vision of this unique place. 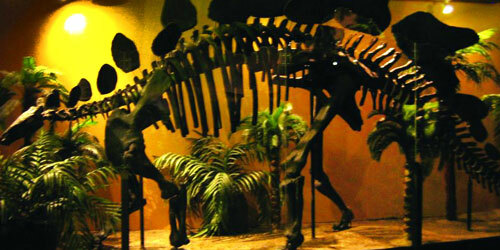 Dinosaur history and folklore are alive and roaring in the Pioneer Valley region. A day or more of exploration awaits dino fans of all persuasions. The Nash Dinosaur Track Site and Rock Shop in South Hadley displays the largest number of dinosaur tracks in the region. Nearby, the Beneski Museum of Natural History at Amherst College in Amherst has impressive exhibits that include vertebrate and invertebrate paleontology, minerals, and other geologic specimens. Visitors to Dinosaur Hall in the the Springfield Science Museum in Springfield are riveted by the life-size replica of a Tyrannosaurus Rex. Interactive exhibits at Dinosaur Hall include actual fossils of dinosaur tracks which can be touched and a cast of a huge sauropod footprint for children to climb into. Information: 413-755-1346.